Honeywell Company Information Is this your company? Add your own content to this page. We currently have 1,532 open jobs at Honeywell. 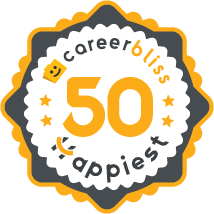 We've calculated that the average salary at Honeywell is $65K based on 3,052 user-submitted salaries A total of 435 Honeywell employees gave Honeywell an average happiness rating of 4.0 out of 5.0. 59 Software Engineers from Honeywell submitted salaries. 2.8 There's nothing wrong with having American citizens on the payroll. Lead, follow, or get out of the way. Stop stealing from employees, converting them to salary and then demanding 70-hour weeks, reducing pay, furloughs, taking away retirement health benefits, reneging on pension, etc. There is such a thing as Karma. 2 Get organized and start talking and planning better. Stop micromanaging the number of pens in my desk and start managing whether the plant is actually making money. 3.4 Honeywell is a conglomerate. It is composed of many small companies that have been purchased by Honeywell. The company culture is driven by sales. The only people who make high salaries are the sales staff. They can only hold onto their jobs if they continue to make sales. Technical staff is more secure, but they can not expect to get more than 5% tops raises each year unless they can manage to change to a higher paying job designation. A plus is that during the 2008 downturn Honeywell laid off less than 1% of staff. We were just furloughed without pay for 1 week per quarter until the company became profitable again. - The Aerospace division creates aviation technology for defense, commercial aircraft, and space applications. - The Automation and Control Solutions unit makes environmental controls, security, and sensing products for homes and businesses. This department also develops building and process solutions that are used in roughly ? of American homes. - The Transportation Systems team delivers world-class technologies to automakers, including energy efficient turbochargers and car products under the private labels Fram, Prestone, and Autolite. - The Specialty Materials division engineers and manufactures high-quality performance chemicals to aid in green solutions and drug discovery. The company began in 1904 when an engineer named Mark Honeywell perfected a heat generator prototype. Honeywell has a long, colorful legacy of contributing key technologies that arguably played a hand in notable historical events. Contributions include the first patented electric motor submitted to Underwriters Laboratories, designing the first circular thermostat known as “The Round,” and developing NASA instruments. In 1999 Honeywell merged with a larger aerospace engineering company called AlliedSignal; the Honeywell title was kept after the acquisition due to its superior brand name recognition. AlliedSignal refocused Honeywell’s direction, adapting a six sigma model and a newfound dedication to discovering resourceful technology. Honeywell recruits talented engineers to develop their key technology business units. The best engineers on the team, known as the Honeywell Fellows, hold over 100 patents. The company offers Honeywell jobs in finance, sales, marketing, and legal departments to support and expand the company’s reach. Additionally, Honeywell has teams to handle IT, operations, and human resources. Benefits packages for Honeywell jobs vary depending on region, and salary is determined using a pay-for-performance approach. Students and undergraduates can apply for paid and unpaid internships, co-op, and early career development programs. Honeywell hosts a YouTube channel and sends out college representatives for campus recruiting events. Browse available Honeywell jobs below to get started.